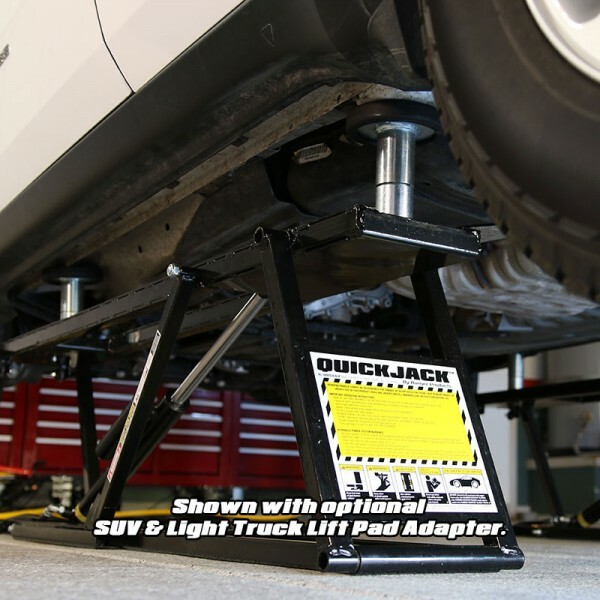 The QuickJack™ BL-5000SLX portable automotive hoist system is the ultimate tool for DIY and racing enthusiasts looking to do a lot with a little space. Do what you love faster, safer and easier than before. 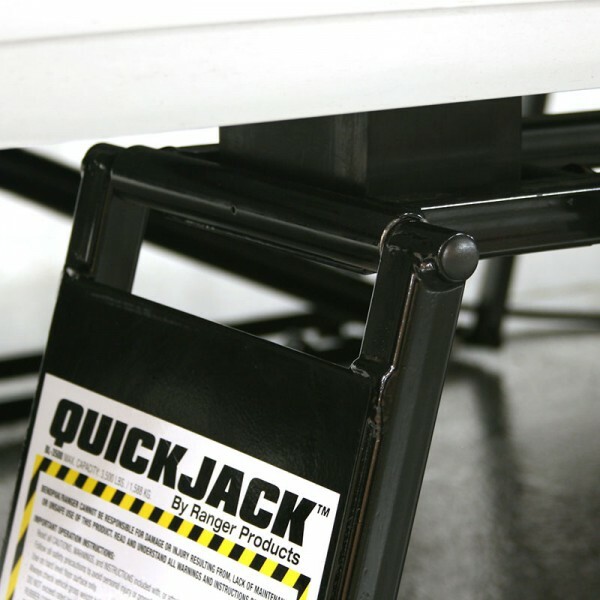 QuickJack has got your back. 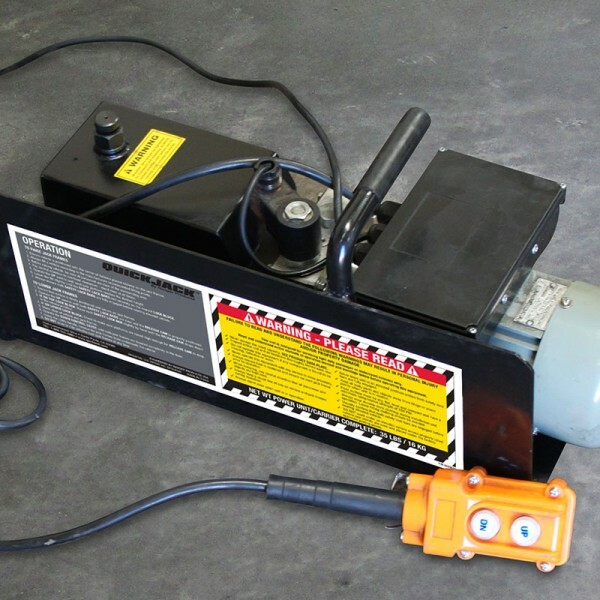 Meet your new best friend in the garage and at the track. 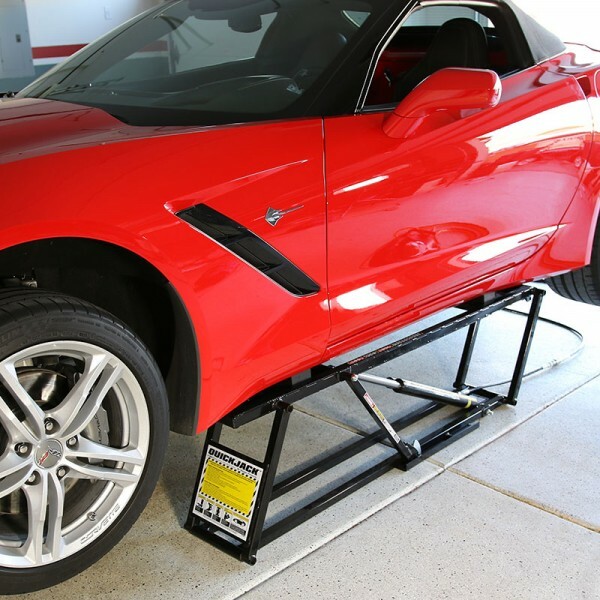 The QuickJack BL-5000SLX portable car hoist system revolutionizes the way you get your car in the air. 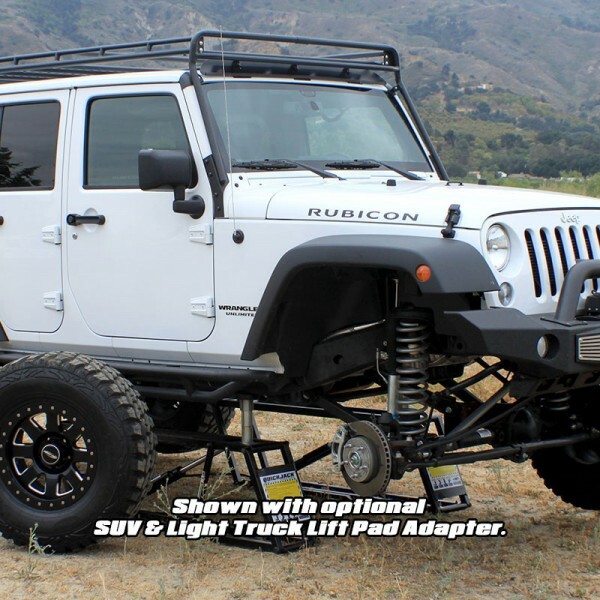 No more struggling with ramps and jacks. 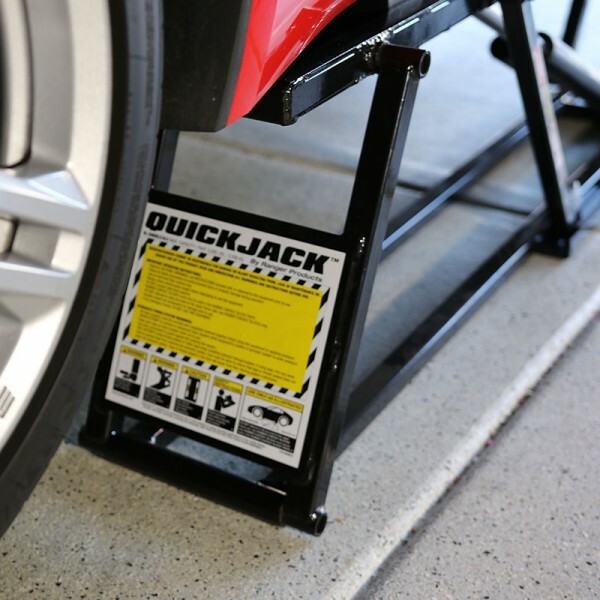 With the QuickJack BL-5000SLX under your car, you can be maintenance ready in mere seconds. The BL-5000SLX is a true 2,268 kg (5,000 lbs.) 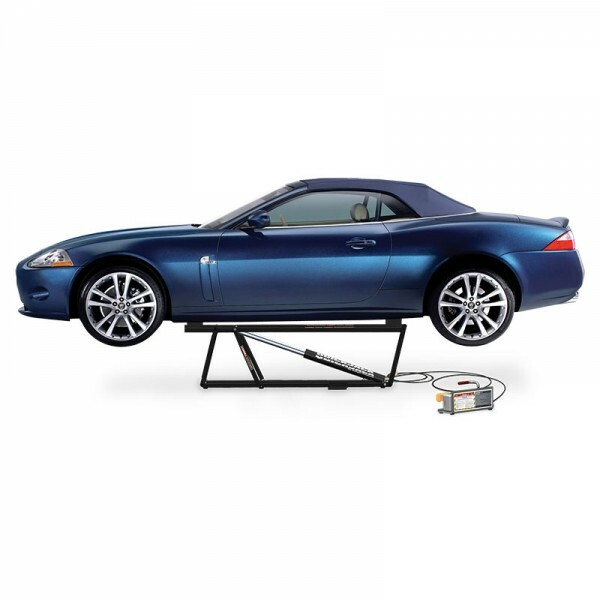 capacity automotive lift, made from the same materials you'll find in a professional shop or garage. But the key difference is, you can take the BL-5000SLX with you almost anywhere. 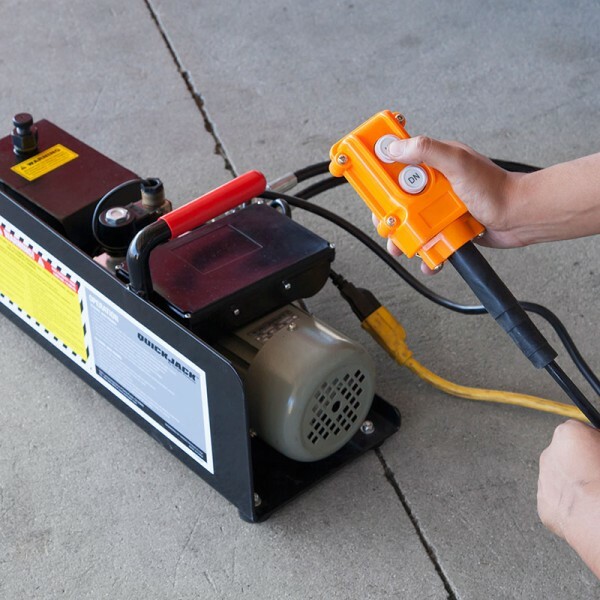 Toss it in the trunk or backseat when you're on the move, and stow it away in a corner when you're not. 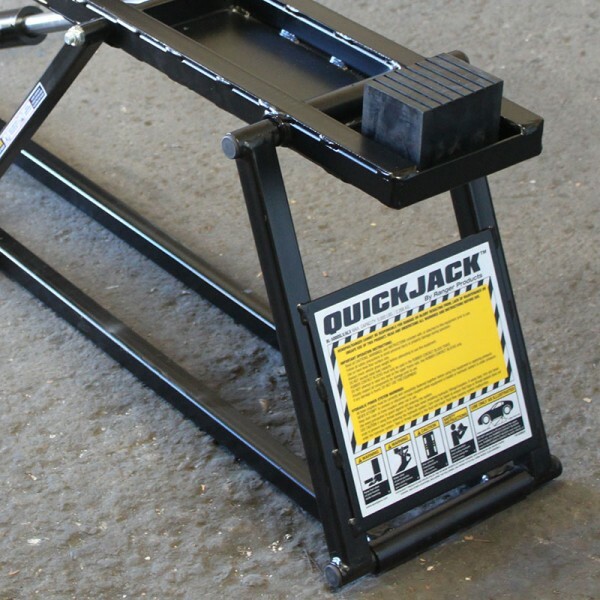 After initial one-time assembly, setting up your QuickJack is a snap. Just drop it on the floor and connect the power. 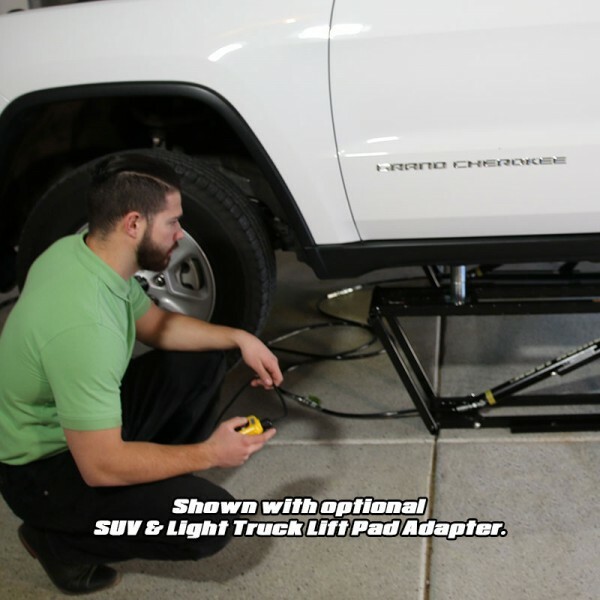 Then place position the light-weight jack frames and rubber blocks beneath your vehicle. That's it. Press the up button and go!